Hi Frugalistas! 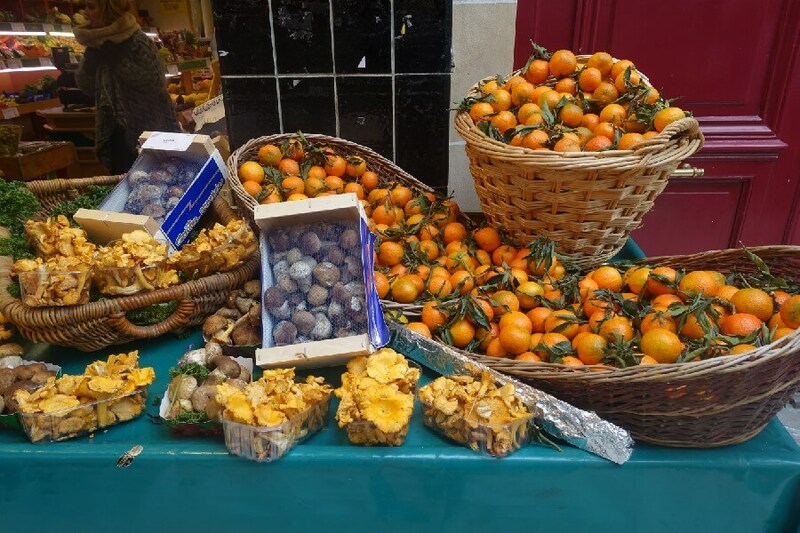 The other week in my Plan Your Trip to France Facebook group (you can sign up here if you aren’t already a member), I posted an article from the New York Times which demonstrated a $1000 (US) day in Paris for just $100. Group member Hollie was so excited by the article, as it proved to her that her goal was achievable – she wanted to spend one week in Paris (well, 5 nights in Paris and 2 days to travel to and from) for just USD1000 per person. She then went on to describe how she is going about planning a trip to Paris for $1000 per person, including airfares and accommodation. So, with her permission, I’m showing everyone in this Paris travel blog how they can do the same. Australian readers can make the same trip for about AUD2000 per person. Hollie’s first tactic to book a budget trip to Paris is one that I appreciate not everyone can do. But if you can be flexible with your dates like Hollie you can potentially make huge savings on your airfare to Paris. 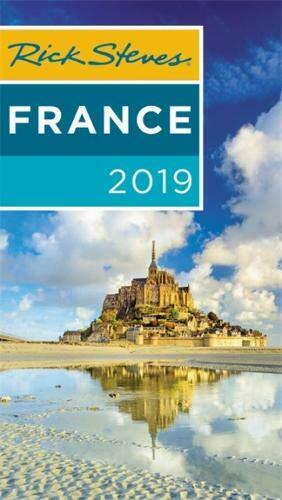 US readers will take Hollie’s advice and use the Hopper and Travel Pirates apps to seek out discount flights to Paris. This is where she found flights to Paris for just over USD300 per person. Australian readers looking for cheap airfares to Paris need to subscribe to I Know the Pilot and Secret Flying. Both sites send through daily emails with some fantastic airline discounts. Expect to pay around $1000 to Paris (sometimes a little less) from the East Coast if you are quick and flexible. Hollie was able to book her Paris accommodation for a total of USD485 for five nights (she chose an apartment). 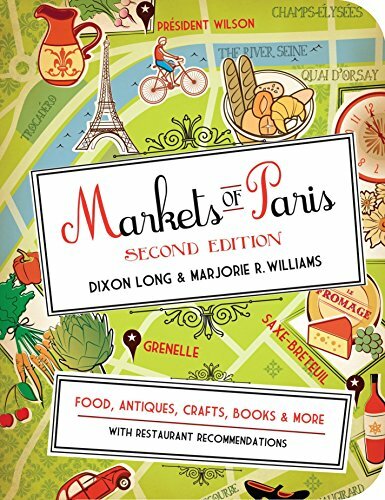 Australian readers should be able to find plenty of choice at AUD200 (or less) per room per night depending on the time of year and regardless of whether you are searching for a Paris apartment or Paris hotel. (Prices and budgets are based on 2 people sharing). Which arrondissement to stay in Paris? My Paris arrondissement guide will help you choose the best neighbourhood to stay in Paris. Your Paris trip cost so far: using Hollie’s actual expenditure, US readers have currently spent USD542.50 per person. Using my tips, Australian readers can have their 5 days in Paris for $1500 (or less if you are frugal with your accommodation). The NY Times article is very similar to an article I wrote on frugal first class travel some years ago about enjoying Paris on any budget. 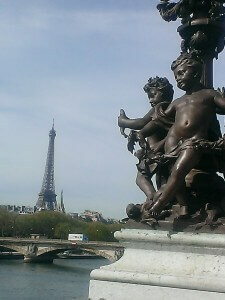 It takes a day in Paris, then shows how to do some very expensive things on a budget. I’m going to take the same approach here. In the article, the author recommends the Blé Sucré in the 12th arrondissement (it is just a short Metro ride from my current favorite Paris hotel) for breakfast. While my Paris hotel does a very good breakfast at a reasonable price, it can’t compete with the €3.26 (less than USD5) expresso and kouignamann (a Breton caramelised pastry). And it definitely can’t compete with the patissier’s pedigree as a pastry chef at the 3 Michelin star restaurant at the Hotel Le Bristol. Eating in Paris on a budget is easy if you do your research. In fact, you can eat surprisingly well for surprisingly little. One of my favorite ways to save money on restaurants in Paris is to eat my main meal at lunchtime. Even very expensive restaurants usually offer a fixed price lunch menu of 2 or 3 courses at a significant discount to their à la carte lunch or dinner menu. The NY Times article suggests Le Timbre in the 6th as a 3 course farm to table lunch alternative to the €340 farm to table 3 Michelin star L’Arpège. Three course fixed price lunch at Le Timbre is a far more budget friendly €26 (plus drinks). 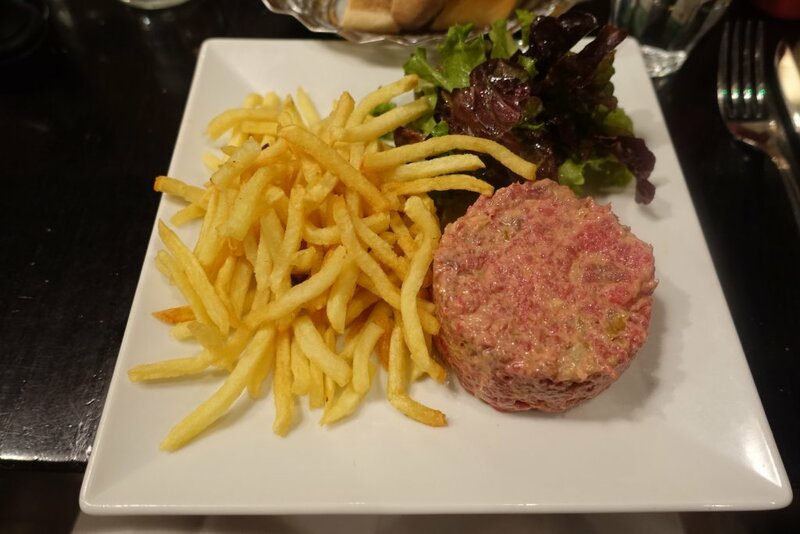 If you eat your main meal at lunchtime you probably don’t need a fancy big dinner, so a simple brasserie meal at Le Bistrot du Peintre in the Bastille area is a good choice. (This brasserie was the one highlighted in the newspaper article, but it’s also becoming a firm favorite with members of my Facebook group). For a high quality Paris meal on a budget a shared entrée (appetiser) and main (entrée) with a bottle of wine to share is around €30. Lunch and dinner for US readers comes to around USD70, and comes to approximately AUD90-100 for Australian readers. If you are looking for a night cap in Paris, after dinner at Le Bistrot du Peintre the nearby Hotel du Nord offers €5 wines in a hip location not too far from Le Bistrot du Peintre. There are so many free things to do in Paris. Surprisingly, in the NY Times article going for a walk is not a free thing to do in Paris – no, apparently you need to pay a Paris tour guide €240 for a walk in the Marais. 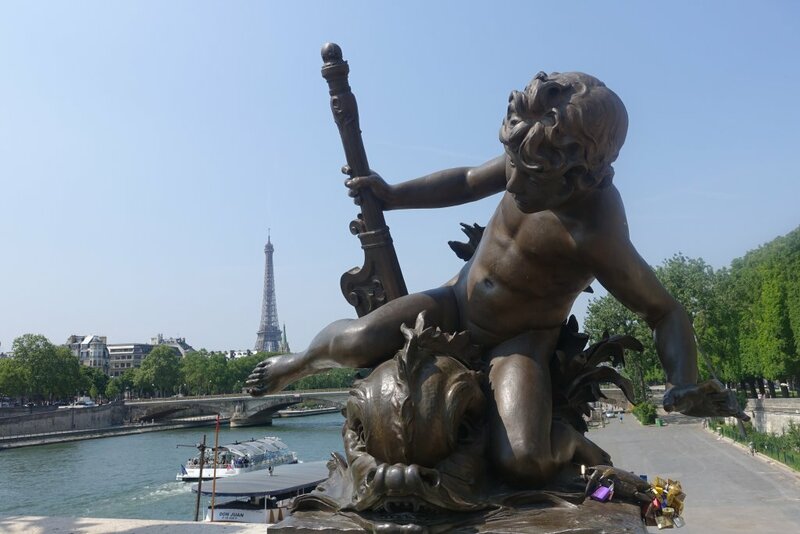 Travelling on a budget to Paris means doing a free walking tour. Paris being so popular means you have multiple options, but my favorite free walks in Paris come courtesy of Rick Steves. 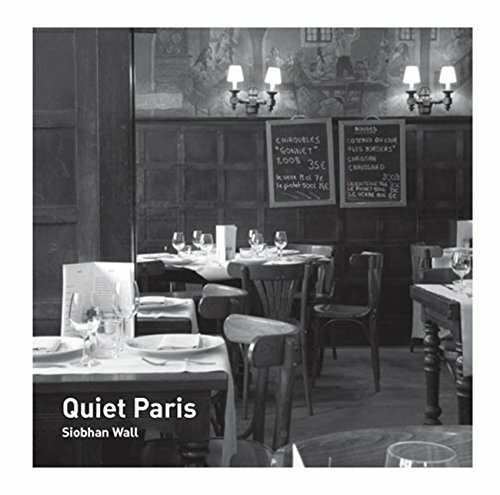 Either follow Rick’s Marais walk in his guidebook, or download his Paris walks app from your app store. Unless you have visited Paris many times, or have no interest, you will want to visit museums in Paris during your stay in Paris. The best Paris attractions pass for those on a budget is the Paris Museum Pass. How to make the most of your Museum Pass is easy but does take planning and organisation. The Paris Museum Pass is available for your choice of 2, 4 or 6 consecutive days. The more days you buy your pass for, the cheaper it becomes each day. In order to keep to your budget of USD100 per day, only buy a pass to cover the number of days you need to visit the places you want to visit. Allow at least 2 hours each for the Louvre and the Musée d’Orsay, and long half day at least for Versailles. 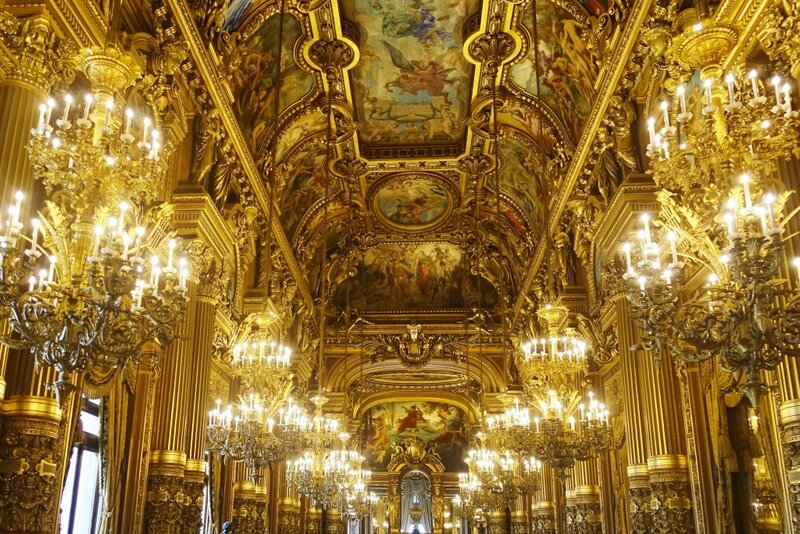 Smaller sites like Ste Chapelle or the Opera Garnier can be enjoyed in about an hour. A 2 day Paris Musée Pass is currently about USD60 (or AUD85) per person. Save money on your meals by trying a filled baguette for lunch (around €4-7 and often big enough to share) or choosing a light meal in a museum café (budget €15-20 per person). You can also visit a market and buy small amounts of meat or cheese to fill a bread roll from a bakery. Many visitors to Paris are tempted to buy the Paris Pass because it includes your train and bus fares. But, unless you are planning on spending an awful lot of time on the Metro, I don’t believe most travellers will get the value out of this pass. (It is approximately twice the price of the Museum Pass for a 2 day pass). The best way for budget travellers to save on public transport is to buy a carnet of tickets that can be used on both the Metro and the bus. Carnets are bulk purchases of tickets that are cheaper the more you buy. Carnets can be shared by travellers. Budget around €1.30 for a single ticket purchased in a carnet. I’ve written previously about free things to do in Paris, and even about free museums in Paris, but there are so many free things to do in Paris to help you stick to your budget. 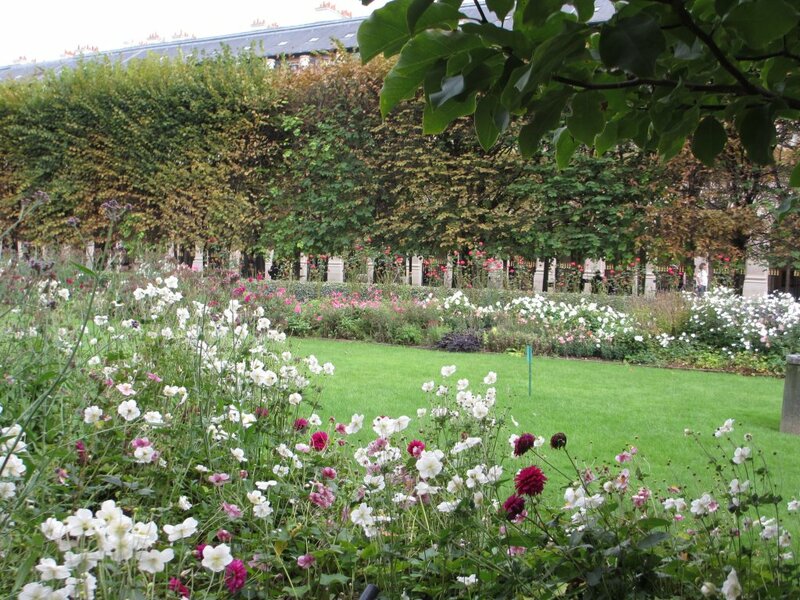 Gardens in Paris are free. Popular choices include the Tuileries and Luxembourg Gardens, but my favorite, for its ambience and setting is the garden in the Palais Royale. Add in the quirky shops in the colonnades that surround the garden and it’s an easy way to pass a couple of hours right in the heart of Paris. 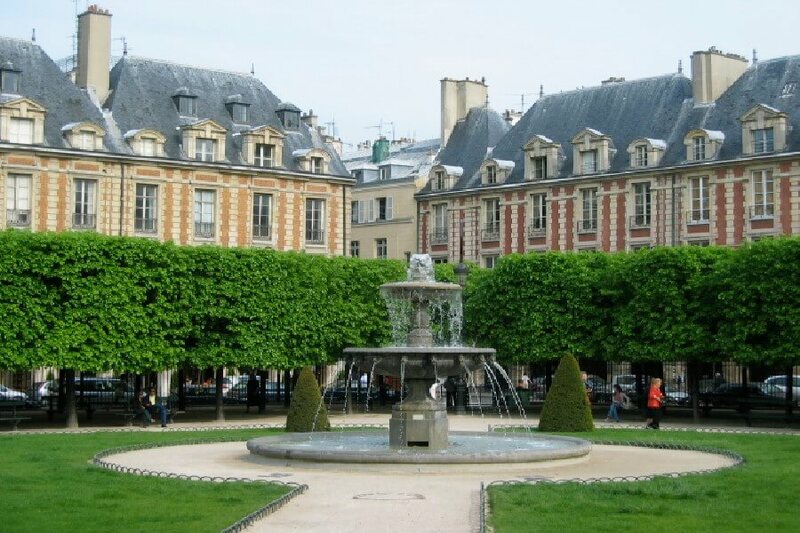 For excellent people watching on a budget head to Place de Vosges in the Marais. Take a seat on a bench and watch Paris come and go. Toddlers on the play equipment with their Mamas and Nou-nous (nannies), groups of high school students enjoying their lunch and lovers stealing a kiss. Again, under the colonnades pricy art galleries and minimalist fashion boutiques make for good window shopping (or leche la vitrine – literally lick the windows, as they say in French). 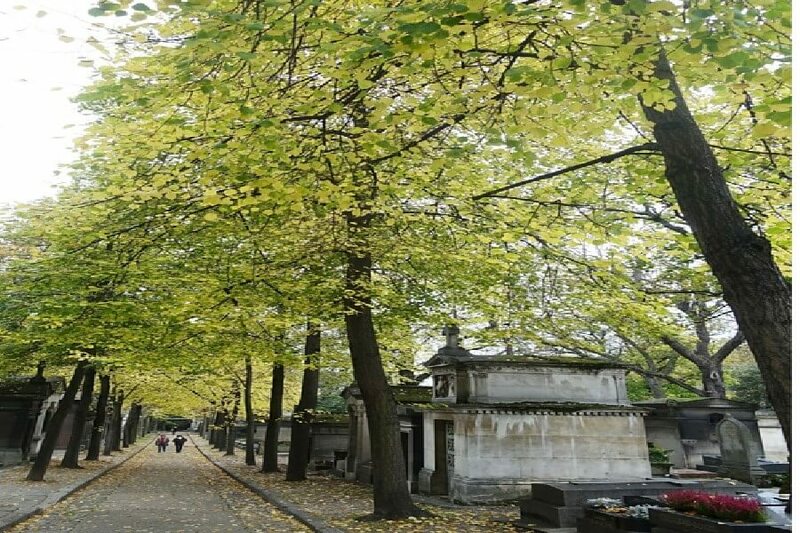 For a day in Paris that will cost almost nothing head to the Père Lachaise Cemetery and enjoy one of the most atmospheric and evocative places in Paris. Then follow my walk to find the real Paris from Père Lachaise up to the Buttes Chaumont park. Both the cemetery and park are free and you will find that meals in this part of Paris are somewhat cheaper than the more touristy parts closer to the city centre. Apart from Versailles as part of a Museum Pass, I have not allowed for any day tours from Paris. But planned well, it is quite possible to take any number of day trips from Paris on a budget. 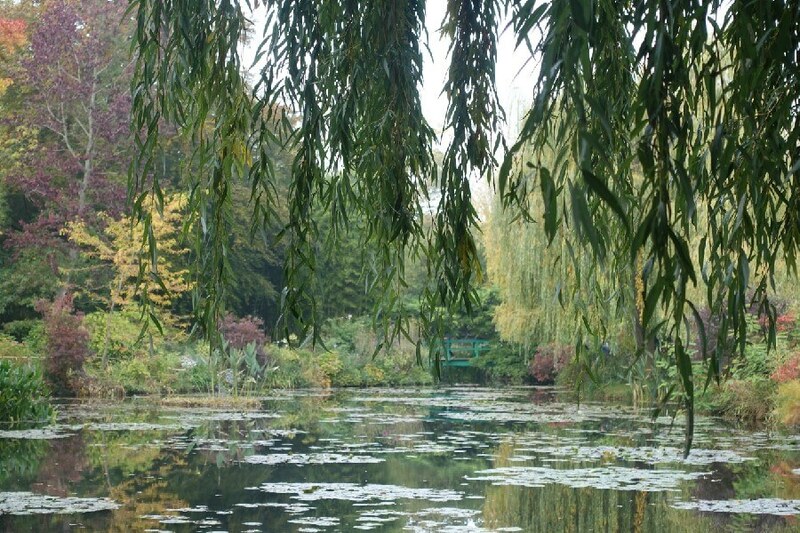 Consider a day trip to Reims or Rouen, or even a self guided trip to Giverny. This post will work equally well for a budget weekend in Paris if you use the principles and methodologies I’ve worked through. I think Hollie is going to have a great time in Paris and still stick to her budget without depriving herself of all the wonders Paris has to offer. What are your favorite tips for visiting Paris on a budget? 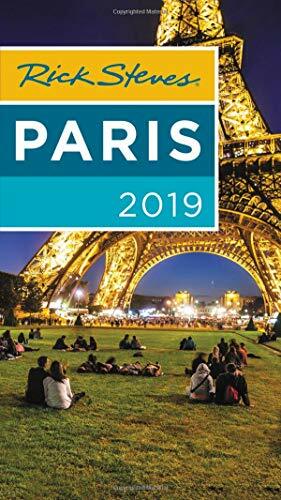 Click here to use my free Paris trip planner. I like that you still have an amazing Paris experience on 1K Jo. Well done. 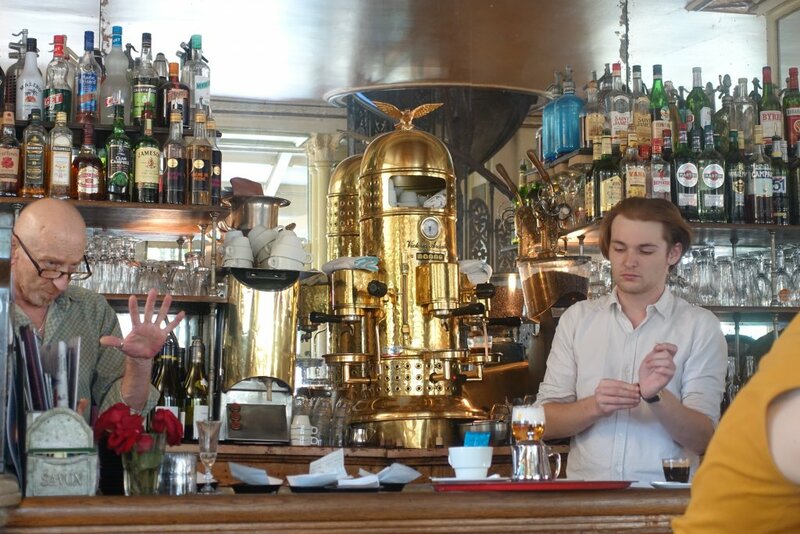 What a terrific post on how to have a fantastic week in Paris without breaking the bank. There are so many options and I love that you use the Rick Steves walking tours as an alternative to paying a guide. He does a terrific job in his books and pocket guides; he even has downloadable walking tours so you can listen to him narrate as you walk if you like! Your suggestions for food options are terrific. Thanks for presenting so many wonderful ways to experience this glorious city and all it has to offer, even when you are budget minded. Well done! Thank you so much Betsy. I’m pleased you enjoyed it and approve of my choices. 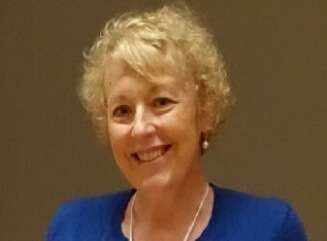 Hi Jo, I really enjoyed reading this article. Its very helpful for travelers. Thanks.